The P Series offer a flexibility of choice to meet your needs just like a custom-made chamber. Numerous features, network solutions and dramatically eco. One of these models is made for you. Hongzhan's P-Series Temperature and Temperature/Humidity Test Chambers provide high-performance testing over a wide range of applications. From prototyping to durability testing to product component screening, the P-Series is designed to meet quality standards while offering flexibility, uniformity, and control accuracy for cost-effective testing. P-Series Test Chambers perform both high and low temperature tests. Many of these chambers have a temperature range of -68 to +180°C (-94 to +356°F). 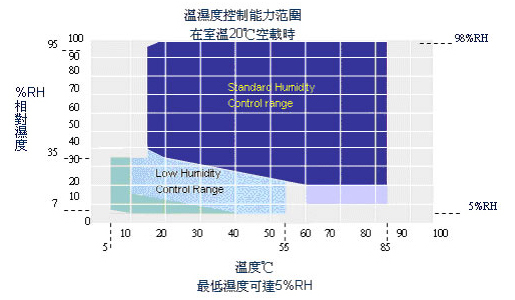 Temperature/Humidity models are equipped with a reliable, accurate, and efficient full range humidity system capable of simulating conditions from 10 to 98% RH. Hermetically sealed compressors provide moderate temperature change rates while allowing the chamber to consume less power than comparable chambers. Advanced features such as an electronic humidity sensor and product temperature control help reduce maintenance and test time. Edit: 269 procedures. Each program can be set 50, 3200 cycles (each cycle step maximum 32000 cycles: 269); fixed program; program link. Set value can be set for 999999 hours. RJ45 Interface, network interface, mobile phone communication can realize local and remote communication function (network communication control, mobile phone communication control function is optional), www.oven.cc software available Chinese simplified Windows 2000 or Windows XP Chinese simplified operating system, COM port and USB port PC occupy a maximum of 254 devices connected; at the same time, the cumulative maximum length of 1200m cable. With the battery protection RAM, can save equipment set value, sampling value and sampling time. The maximum storage time of 90 days (when the sampling period is 1min). The reason, fault alarm and prompt function; power-off protection function; upper and lower temperature protection function; timing function (automatic start and stop automatically); self diagnosis function. The resistivity of >500 m.
1. No heat function models were PM ( -20 C), PU ( -40 C), PG ( -70 C) . The 2 room temperature is +25 DEG C, under the condition of no sample measured data. Technical data of this material are subject to change without notice, Hongzhan Technology Co. Ltd.